In the ongoing immigration debate, the contentious issue is usually how the presence of all these foreign workers is affecting our nation. Oddly, a parallel question is almost never asked: How the migrants&apos; home country is affected by the fact so many of its citizens live a significant chunk of their lives abroad. A new study suggests that in the case of Mexico, the impact — at least in terms of politics and governance — is real and positive. Exposing so many Mexicans directly to the U.S.&apos;s democratic system of government has increased support for, and participation in, democracy back home. In the January issue of the journal Comparative Political Studies, political scientist Clarisa Perez-Armendariz of Bates College calls migrants "agents of democratic diffusion who help strengthen democracy in their countries of origin." Her paper, co-written with David Crow, suggests migrant workers "absorb attributes of democracy in the host country and transfer them to people in their home countries." 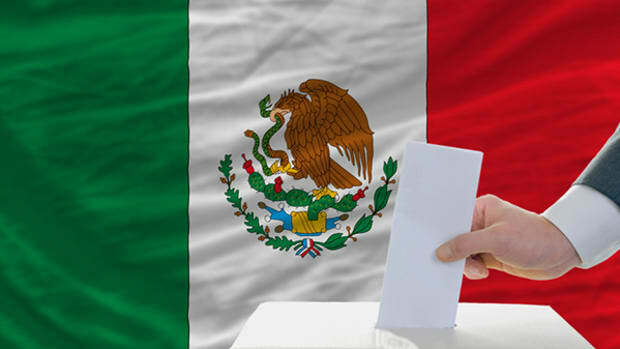 Drawing on the results of a 2006 public opinion poll of 650 Mexican citizens, they conclude that migration "leads to higher rates of nonelectoral political participation, greater tolerance of political and social difference, and more critical evaluations of both democracy and observance of rights in Mexico." Specifically, they found that having friends or relatives who have migrated to the U.S. or Canada "greatly raises one&apos;s proclivity toward democratic participation." Respondents who fell into that category were 1.5 times more likely than those without overseas acquaintances to participate in a civic organization and 3.5 times more likely to participate in an organized political protest. While additional research will be needed to confirm this, the researchers expressed the belief that this "migrant-driven democratic diffusion" also takes place elsewhere in the world. They note that "migrants tend to emigrate from authoritarian countries or developing democracies to more established democracies," and add that for some small nations, a quite significant percentage of the native population will emigrate at some point. Their experiences, as described in letters and phone calls and during holiday visits, can&apos;t help but have an impact on attitudes among those who stayed behind. So, while no one planned it, one of the Western world&apos;s top exports may turn out to be democratic values.